Here is an example of a fair amount of engineering that has been abandoned. 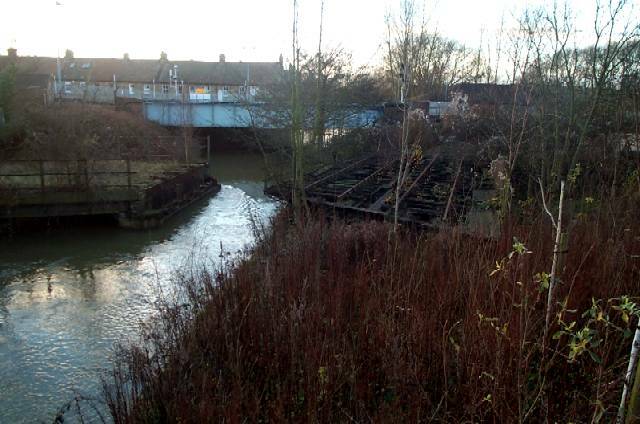 Constructed in 1844, this bridge took the London & North Western railway over the Sheepwash Channel at Oxford, swinging out of the way to allow barges to pass (though the railway timetable took priority). The railway used to go to the L&NWR (later Midland) Rewley Road terminus station at Oxford, which has been disused since 1951, and now been dismantled, and replaced by a housing development, and a Business School for the University. The tracks on either side of the bridge now stop soon after the edge of this photo. Photograph copyright 2002 Simon Hewison.